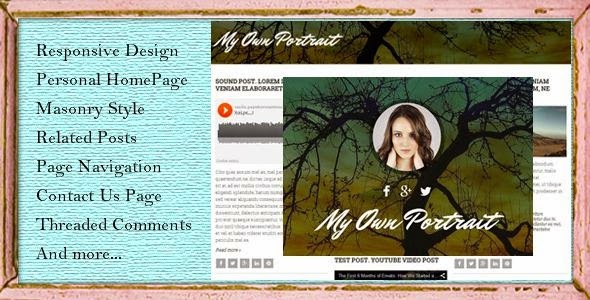 “My Own Portrait” is a Portfolio Premium Blogger template with Responsive layout and suited for all blogs. It’s design with Masonry style, simple color combination, clean and modern look, SEO Optimized, and has been built by using some of the most popular current design trends. It’s perfect choice for personal blogs, or simple business pages. 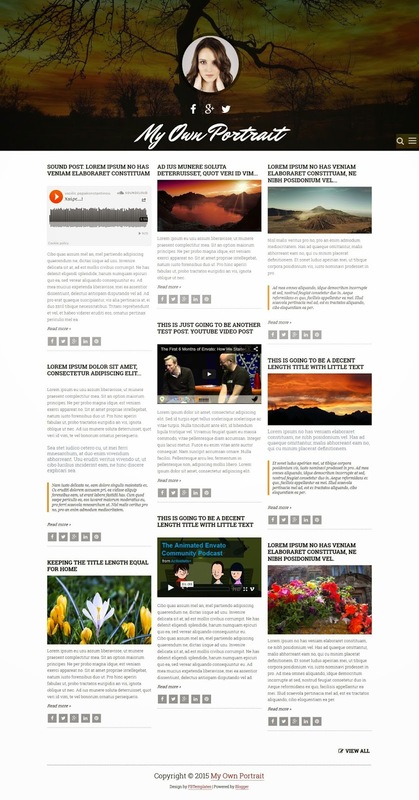 Item Reviewed: Masonry Style Premium Blogger Template 2015 9 out of 10 based on 10 ratings. 9 user reviews.